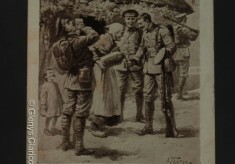 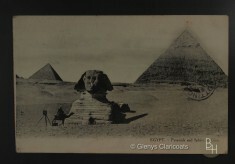 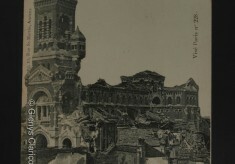 1st World War Album of postcards collected by Florrie Harby. 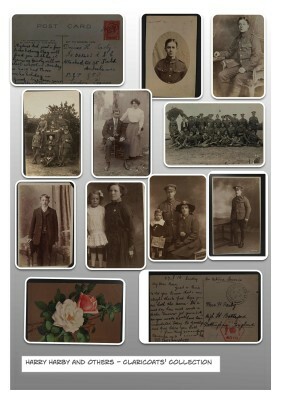 Approximately 150 items. 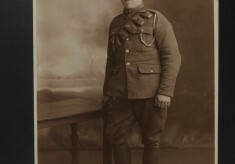 During the Great War Driver Harry Harby served in the Army Service Corps in Egypt, Gallipoli and France. 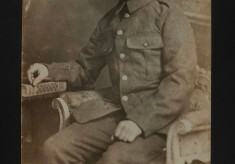 Throughout his travels he sent postcards home to his wife Rose and daughter Florence (known as Florrie) in their cottage in the High Street, Bottesford. 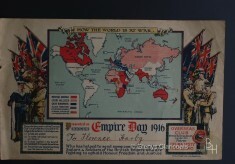 Rose and Florrie also wrote to Harry and he brought his collection of cards home along with picture cards of the places he had visited. 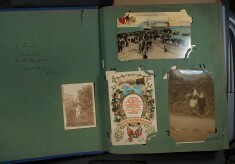 Florrie was given an album in which to keep the cards by her grandmother Mary Harby. 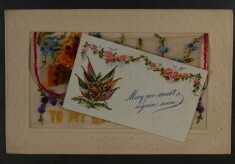 It had originally belonged to Florrie’s great grandmother Louisa Francis of Pickworth in Lincolnshire, who had herself received the album as a gift in 1907 but had only inserted a few cards by the time of her death in 1910. Florrie received further postcards and photographs from relatives and friends thus building a very large collection which describes aspects of life both at home and amongst the serving troops. 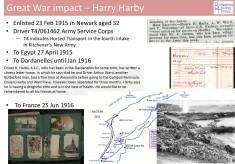 Further details about Harry Harby can be found here and the story of the wider Harby family can be found via this link. 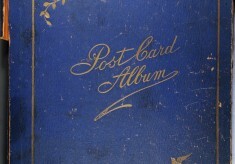 Florrie gathered her collection of postcards and photographs in this leather bound album.